Thrilled to showcase our new A320neo livery to celebrate the very best of Brunei tourism! Decked with traditional songket patterns and showcasing some of Brunei’s most fascinating landmarks, lush rainforests and stunning underwater scenery. 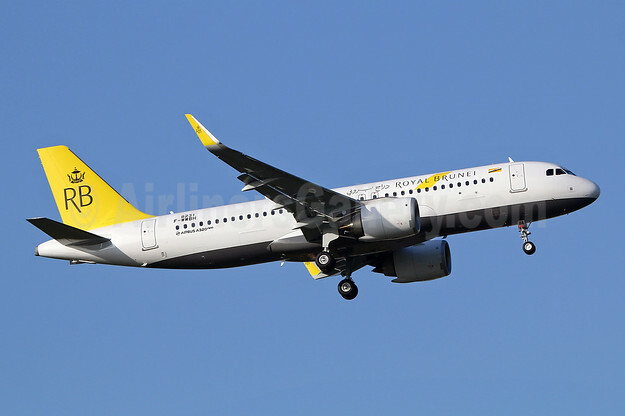 Top Copyright Photo (all others by Royal Brunei): Royal Brunei Airlines Airbus A320-251N WL F-WWBH (V8-RBA) (msn 8231) TLS (Eurospot). Image: 941738. This entry was posted in Royal Brunei Airlines and tagged Airbus A320-251N WL, F-WWBH, msn 8231, Royal Brunei Airlines, V8-RBA on September 23, 2018 by Bruce Drum.